Next weekend I’m participating in a workshop, jointly organized by colleagues at The New School and NYU, on “Zonal Logics of Modernity” — or the special economic zone as a socio-cultural space, one we can perhaps better understand through the lenses of the humanities. Some of the key concerns we’ll be addressing include: whether there’s a particular connection between Asian modernity and the SEZ (given the spatial form’s early arrival and contemporary predominance in Asia); what role aesthetics and materiality play in the marketing and design of the zone; how the zone configures the urban subject and/or citizen; how “zonal logics” impact cultural production; and what epistemologies and ontologies of urbanity are embodied in the zone. I’ll focus on Paju Bookcity, which I visited in the Summer of 2012 and wrote about for Places last year. I think Paju presents an interesting counter-example because it reflects, at least in its “philosophical” dimension, a counter-logic: rather than embracing global capitalism, technological progress, and other “neoliberal” (I wince every time I say or write that word!) values, Bookcity was conceived in the late 80s (and founded in 2007) to provide a space of exception, an alternative to South Korea’s “growth-driven ambition of the late 20th century.” While the rest of the nation seemed single-mindedly focused on achieving digital supremacy — the fastest broadband, the greatest saturation of smartphones — here we have a haven for analog books. This was the complicated urban-cultural and socio-economic context that inspired Korean publisher Yi Ki-ung to found Paju Bookcity, and which shaped his decade-long battle to bring it to fruition: a publishing industry with a deep cultural history facing dramatic changes; a capital city bloated by years of top-down development that had proven unsustainable; and a national psyche recovering from what Yi described as “intense psychological confusion and disorder” brought about by decades of war, colonialism and dictatorship. As [design critic Edwin] Heathcote says, Yi envisioned an alternative future; Bookcity was “a reaction to the rapacious redevelopment of Seoul, the loss of the city’s historic fabric and its rapid embrace of the culture of bigness and congestion.” Bookcity’s self-styled exceptionalism is rooted in this origin story: it was conceived as not just another industrial estate, but as a city that would, in Yi’s words, “recover the lost humanity” of the country, a cultural project sustaining time-honored values and a commitment to the print tradition. 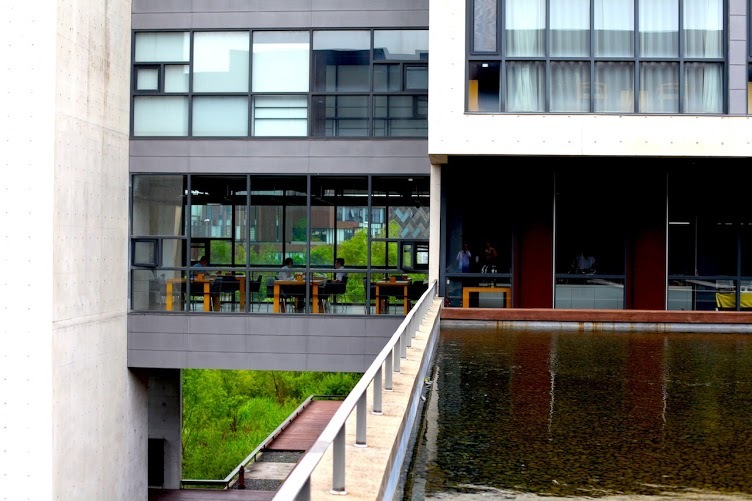 …The Asia Publication and Culture Information Center — one of the signature buildings in Paju and the only one whose designer, Kim Byung-yoon, was chosen by competition — embodied the project’s central values: “preserving the spiritual culture of Korea … bequeathing the value and importance of the Book to the next generation.” …For Yi, who felt “suffocated in Seoul,” Paju was intended to be a breath of fresh air; by bringing together urban designers and bookmakers outside the pressures of the capital city, he hoped to encourage a more reflective practice and richer culture. Depending on how one looks at it, the reflective-thought-in-spite-of-digital-distraction and “old-school”-cultural-production-among-the-rice-paddies vision, along with Bookcity’s potential to serve as a node in a proposed cultural “bridge” between North and South Korea, could be the “conceptual core” of Bookcity, and its rhetorical packaging as a viable economic zone, embracing dominant forms of zonal logic, could be merely a necessary compromise in ensuring its viability. Or maybe it’s the other way around: the “recovery of lost humanity” through the rediscovery of “slow” publishing, the promise of “getting back to nature,” the prioritization of “community above capital” — and the embodiment of these values in ambitious and floridly theorized design that simultaneously embraced the clean lines of contemporary architecture and the inevitable patina and decay of natural materials — maybe this was the aestheticization and marketing of what was, at its core, just another industrial zone. Some of the challenges Paju Bookcity faces in transforming itself into a “real” city, a vibrant center of literary life, can be traced in part to its urban design; but some are clearly due to its classification as a mono-functional industrial estate. There is, I would argue, a paradox in its founding premises: Paju exemplifies the effort to acknowledge book publishing as an industrial sector in need of special attention; yet it has also resulted in its physical segregation from the dynamic urban life and culture that has historically nurtured its content and reception, its authors and readers…. Book printing and distribution might benefit from consolidating resources on inexpensive land outside the city, but the more social aspects of publishing — interactions between authors, editors, translators, agents and readers; and the way these various interactions draw from and give to the city — will likely be sacrificed by a move to the wetlands near the DMZ. Baek Won Keun explained to me that the country has a huge market in private education, including courses to prepare students for college entrance exams — and the study guides used by private tutors comprise an astonishing 60 percent of the publishing market. This is hardly the classic republic of letters, where a broad readership hungers for great literature and philosophy and political debate; here the book industry is sustained by children cramming for standardized tests…. Perhaps there’s no longer much use romanticizing the centrality of books, periodicals, newspapers, pamphlets and posters to city life and urban form…. Today we no longer live in a world of Habermasian public spheres animated by the circulation of printed matter. The purposes and platforms of reading are changing so dramatically that publishing and literature are bound to occupy a very different physical place in our cities. But Paju does at least remind us that publishing and literature have long occupied critical places in our cities. Bookcity is merely the latest development in a half-millennium-long tradition of urban zones that arise around print — to support its production, distribution, and consumption; and to foster “print culture.” Jianyang, Leipzig, Lyon and Boston have served as important publishing centers. 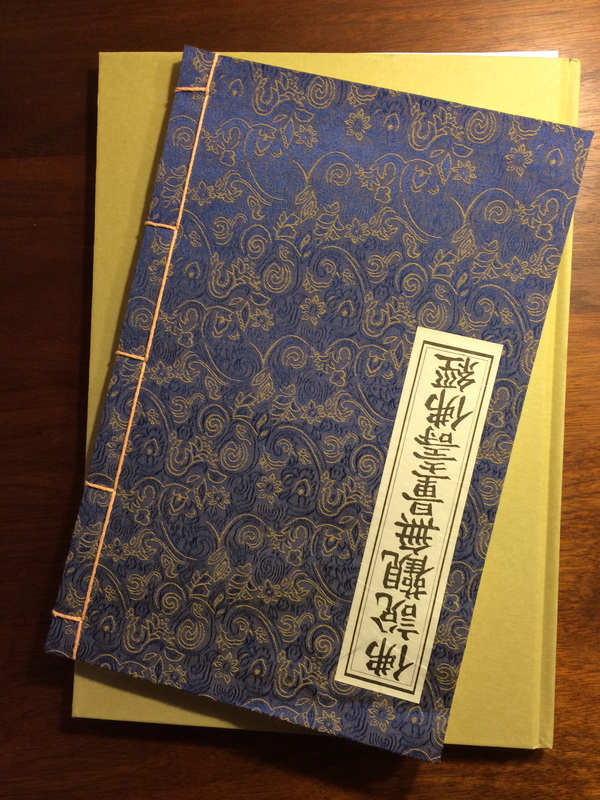 There’s a solid body of scholarship on the place of place — local institutions and resources, local and regional distribution networks, the role printing has played in constructing local identity — in historical Ming dynasty Chinese publishing centers, including Jiangnan, Yangzhou, Fujian, Sibao, and Nanjing, among others. Bronwen Wilson also writes of early modern Venice as a center of print production — of how the making of books not only shaped the economy and landscape of the city, but also how the creation of new publishing forms influenced the way people explored and experienced their cities, and informed how cities represented themselves to their own citizens and to outsiders. Rose Marie San Juan offers a similar characterization of early modern Rome, paying particular attention to how print and its interplay with the city “proved a crucial site for reworking early modern subjectivities.” And some have written about the arrival of publishers and bookshops and bazaars around mosques throughout the Islamic world in the 16th and 17th centuries: “It was a tradition that stretched across the Indian sub-continent and Central Asia – the mosque, the market square and the story-tellers,” writes Majid Sheikh. Thus, if we look at our historical printing centers, and their print-inspired urban development, as precursors to Bookcity, we might be able to situate the zone — particularly our media- and technology-oriented zones of today — within a much deeper history.